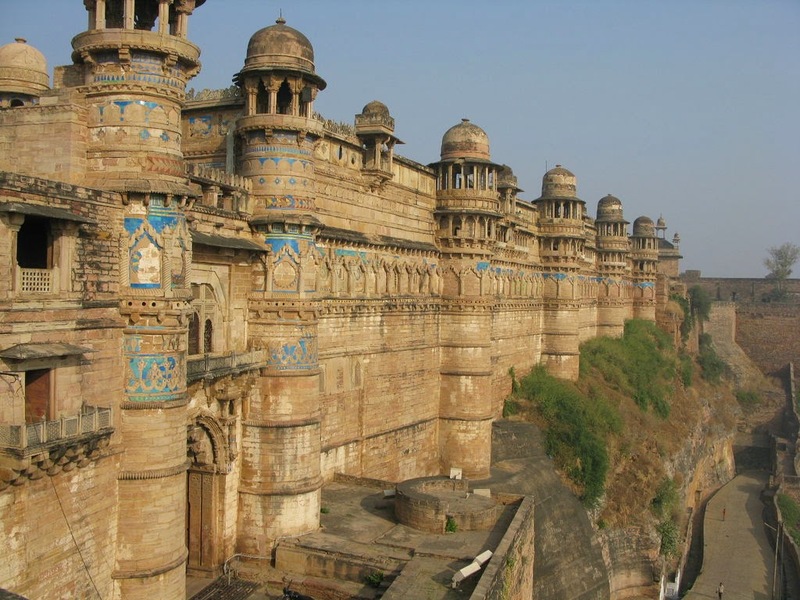 Gwalior Fort is an 8th-century hill fort near Gwalior, Madhya Pradesh, central India. The fort consists of a defensive structure and two main palaces, Gurjari Mahal and Man Mandir, built by Man Singh Tomar. The fort has been controlled by a number of different rulers over time. The Gurjari Mahal palace was built for Queen Mrignayani. It is now an archaeological museum.